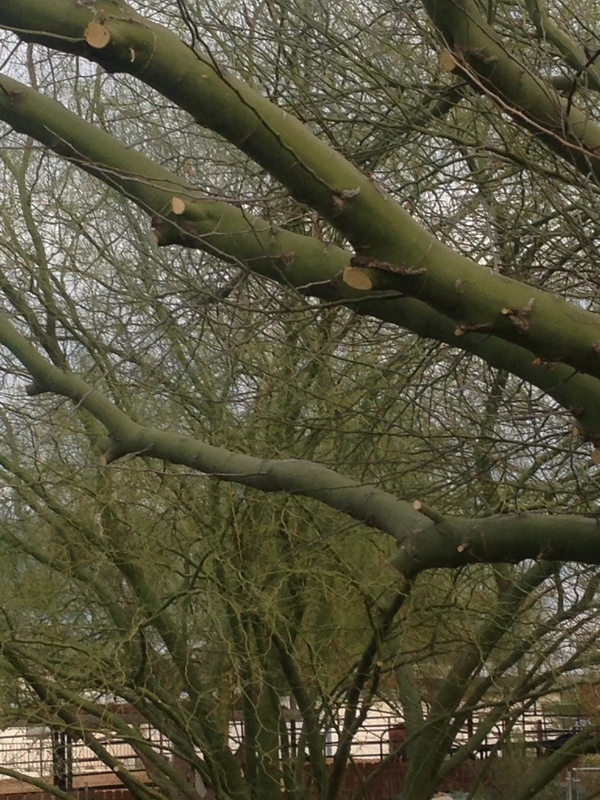 We’re using our Palo Verde trees as shade canopy for young fruit and nut trees. We’ll also be adding several more grape vines to the Northwest and East side of our property. We own an acre: 2/3 is used for home and 1/3 for horse the corral and stalls. Anticipating the purchase of our fruit and nut trees, my husband began pruning the northwest section of our land, which had not been cleared for several years. Check back for updates as we grow!